By developing a lifelong relationship with your dentist, you can assure yourself and your family the best care and the brightest smiles. Especially if you work with a family dentistry. From infants to adults, excellent dental care can be applied in a variety of situations. In fact, studies have shown that prenatal dental care that prevents periodontal disease can also help mothers avoid low birth weight and premature birth. When babies get that first tooth, it is time to begin thinking about an appointment with Dr. Fulmer’s office. The American Dental Association and the American Academy of Pediatric Dentistry say that the first dental visit should occur within six months after the baby’s first tooth appears, but no later than the child’s first birthday. 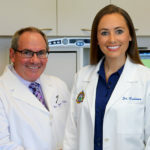 By trusting Dr. Fulmer to care for your child’s teeth along with your own, you can be confident that your entire family will get the hands-on, personalized care that all of Dr. Fulmer’s patients receive. It is important to keep baby teeth healthy and in place until they are lost naturally. They help your children chew and maintain good nutritional habits. They are also important for speech development and to help maintain space where permanent teeth will ultimately grow. That’s to say nothing about the pride they give your children by keeping a bright, healthy smile until their permanent teeth arrive. Prevention really is a family affair and is one of the keys to great dental health. Regular six-month visits to Fulmer office for cleanings, fluoride treatments, x-rays and other important dental advice are vital for a happy, healthy smile regardless of your age. Those familiar smiling faces of the staff at Fulmer Dental make those appointments throughout your lifetime less traumatic. The Center for Disease Control lists tooth decay as one of the most prevalent childhood diseases – 42 percent of children ages 2 through 11 are estimated to have cavities in their baby teeth. Cavities in those baby teeth can be just as painful as those in permanent teeth. Pain resulting from tooth decay disrupts sleep and contributes to a host of other health complications. Teach your children good oral health habits early on. This includes brushing twice a day with an ADA accepted toothpaste. It is also important to stress to children that they not swallow toothpaste. At age four, give them flossing instructions. Call Dr. Fulmer’s office immediately if your child chips, breaks or loses a tooth. “Healthy teeth, Healthy Me: Brushy Brush PSA” from Sesame Street. “Toothbrushing Song” eztales from EZTales. “Brush Your Teeth” KidsTV123 from KidsTV123. A local family dentist gives you someone to call in dental emergencies. Dr. Fulmer and his outstanding staff pride themselves in being familiar with your family’s history and unique dental care requirements. Genetics impact dental and oral health. Bringing your children and teenagers to the same dentist you see results in a better understanding of your family’s dental history. As you pass from active working adulthood into your senior years, the familiarity of your family dentist becomes an even more cherished part of your dental health routine. The challenges of maintaining healthy teeth become more difficult as your body ages. The confidence elderly Kenoshans place in the staff at Fulmer Dentistry results from decades of great dental care. Just like a good medical doctor, a professional, caring family dentist gives you and your family a better quality of life. The staff at Fulmer Dentistry are all about family – both theirs and yours. Call their Kenosha office at 262-671-4724 or Paddock Lake at 262-843-4643 to make an appointment to bring your family in for the best dental care available in this area. Please check the following to prove you are not a robot.